Imagine it is six degrees and there is a thick layer of fog hanging over the blue-green water.It’s mystical and eerily beautiful to see the old buildings appear out of nowhere as you make you way towards San Marco by boat. 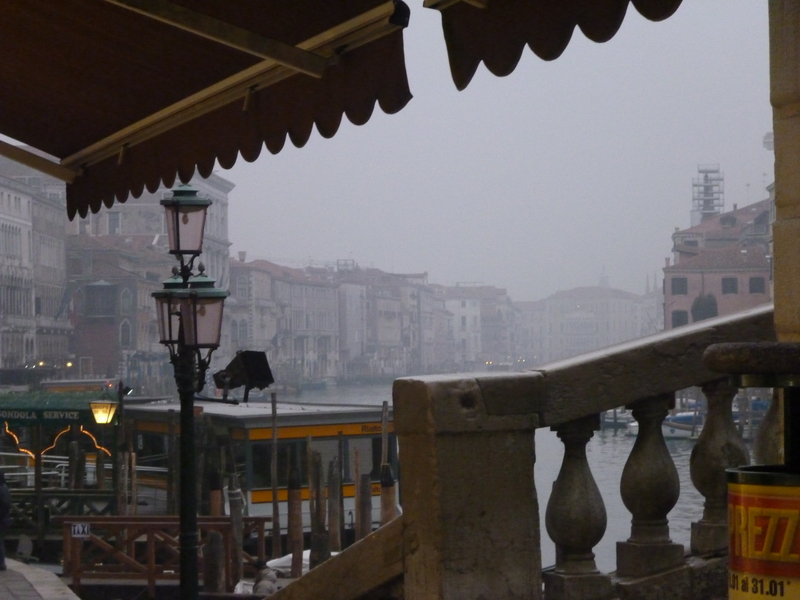 In the dead of winter, this was my Venetian experience. A group of friends and I were only there for a day, so we first did the one thing we all desperately wanted to do, a gondola ride of course. Six of us crammed into the traditional boat, which was punted by a lovely fellow called Giovanni (I’m not making that up). Although refusing to sing for us, he took us through little side canals so narrow you could touch the walls of the houses as you went by. 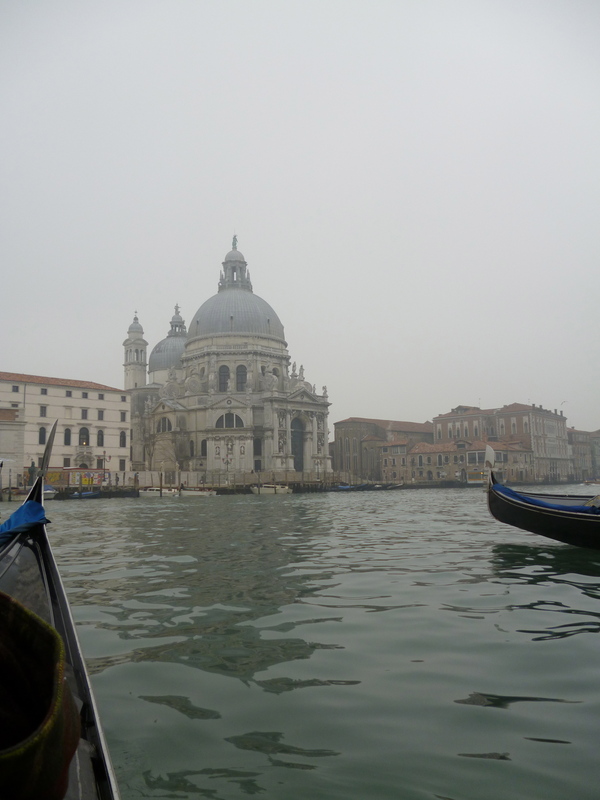 We then made our way out onto the Grand Canal, a wonderful expanse of water teaming activity even on this chilly day. 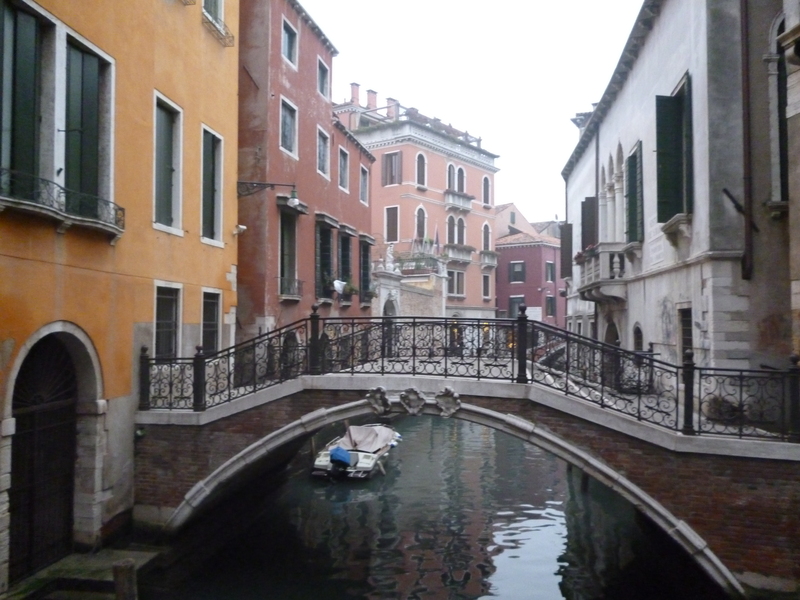 It afforded beautiful views of the gorgeous old buildings that make up Venice. 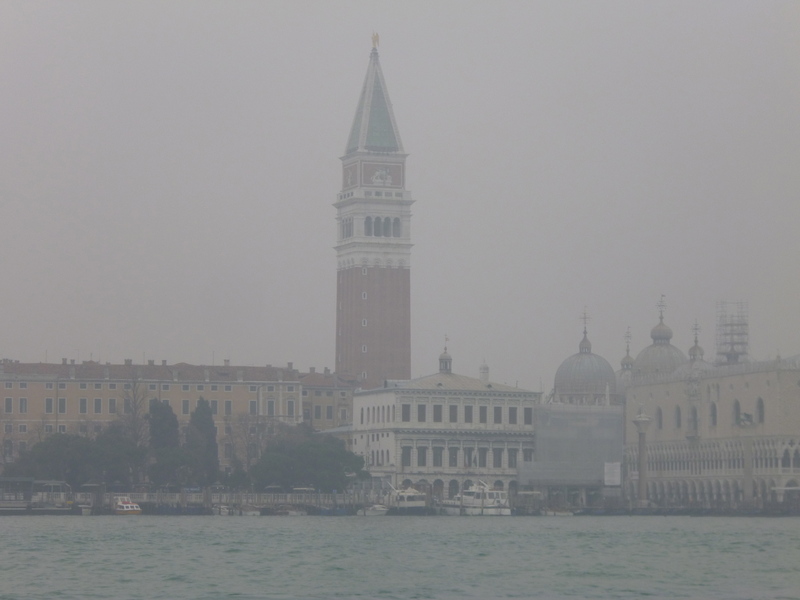 I should also mention, we had a couple of bottles of wine on the gondola…so our plan to climb to the top of the bell tower of St Mark’s Basilica was abandoned. Instead, once we had made our way back to land (well, in this case not quite land, but you know what I mean), we wandered through Piazza San Marco watching people get attacked by pigeons. Our next destination was the Ponte di Rialto, a beautiful bridge that crosses the Grand Canal and divides the two districts of San Marco and San Polo. However, it took us a lot longer to get there than expected. In what seems to be a rite of passage when visiting Venice, we got lost. There are charming little signs the size of a number plate, but there just aren’t that many of them. We would follow one, and then find ourselves in an intersection of four or five little alleys with no idea of which to follow. However, it was getting lost that enabled us to find delightful little cafes and shops. We looked at beautiful masks, bought Murano glass and indulged ourselves at a wonderful patisserie. You see, the great thing about Venice was that it was exactly as I thought it would be (bearing in mind that my preconceptions were based on the movie The Italian Job). The water really was that colour, the buildings really were that old and gorgeous, and it really did have that certain charm. Although my time there was fleeting, it was wonderful. Previous PostGrammar: the difference between knowing your s**t and knowing you’re s**t.
Next PostLet’s read this world.